Today we went for the 100km drive to Wyndham. We had been told there isn't much to see there but as I say with everything - I would like to experience the nothingness for myself. 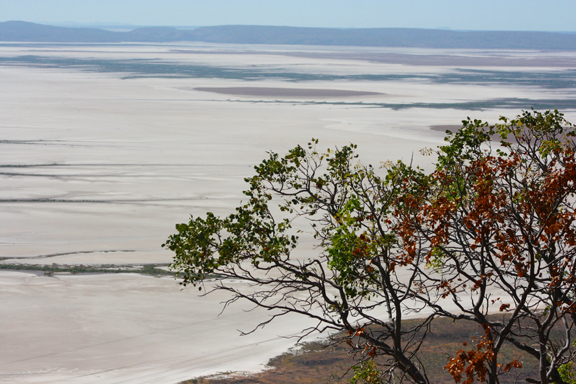 Wyndham with a population of 800 is the oldest and northern most town in the Kimberley region. 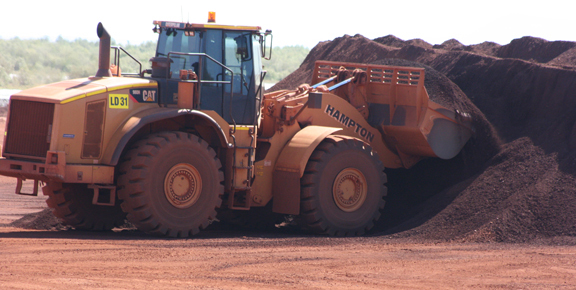 Established in 1886 as a result of a gold rush, it is now a port and services area for the East Kimberley region. 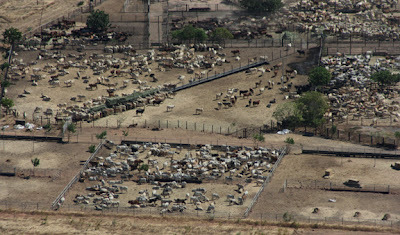 The main export from Wyndham port is in live cattle to somewhere in the world and nickel to China. One location not to be missed is the Five Rivers Lookout. The Five Rivers Lookout is at the highest point of the Bastion Range (330m). The local Aboriginal name being Bahdarwi Range. The Five Rivers Lookout provides a spectacular view of the Gulf into which the rivers (Ord, Forrest, King, Durack and Pentecost) flow. 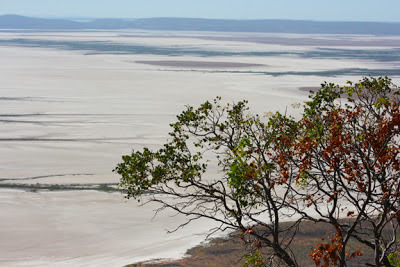 I was fascinated how much salt lay in the areas where the water had receded in the dry season. I agree that there isn't a huge amount to see in Wyndham but its has a very interesting history. 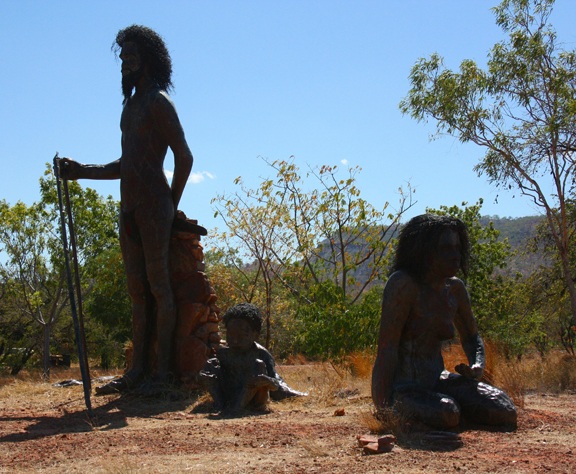 These large bronze statues of an Aboriginal family and native animals are a proud reminder of the Aboriginal heritage of the Wyndham area. The family group of statues are known as the dreamtime statues. They were designed and built by Aboriginal families, traditional owners and descendants of the stolen generation.